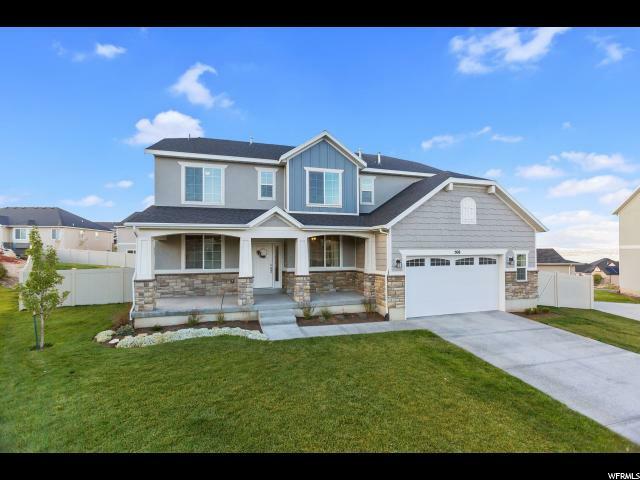 All Saratoga Springs homes currently listed for sale in Saratoga Springs as of 04/21/2019 are shown below. You can change the search criteria at any time by pressing the 'Change Search' button below. "INCREDIBLE RARE FIND! LOCATED IN SOUTH SARATOGA SPRINGS. 6180 SQ.FT. 6 BD. 4 BA. 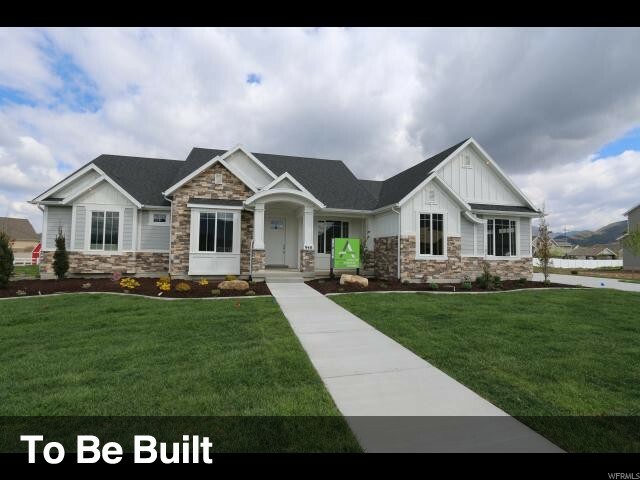 CUSTOM BUILT HOME ON 1.00 AC. 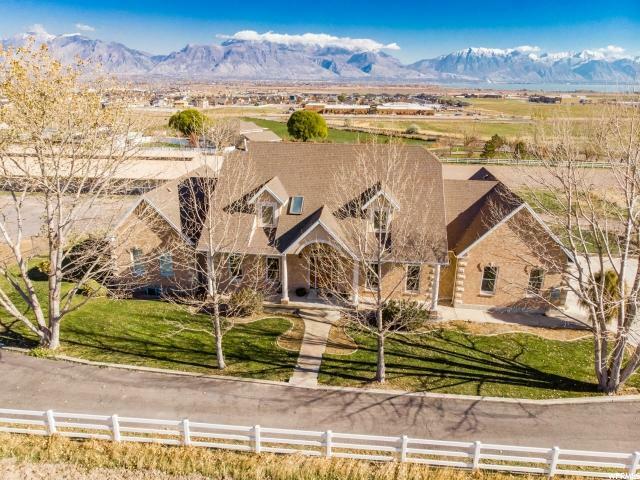 WITH AMAZING VIEWS OF UTAH LAKE, THE WASATCH MTS. AND THE VALLEY TOO. A FABULOUS OPEN KITCHEN TO THE FAMILY ROOM WITH BREATH TAKING VIEWS THAT OPENS OUT TO THE DECK WITH A HOT TUB. GRAND MASTER SUITE WITH SITTING ROOM AND VIEWS. XXL MASTER BATHROOM AND DOUBLE HEADED SHOWER. MAIN FLOOR OFFICE. SECURITY & STEREO SYSTEM THROUGHOUT. 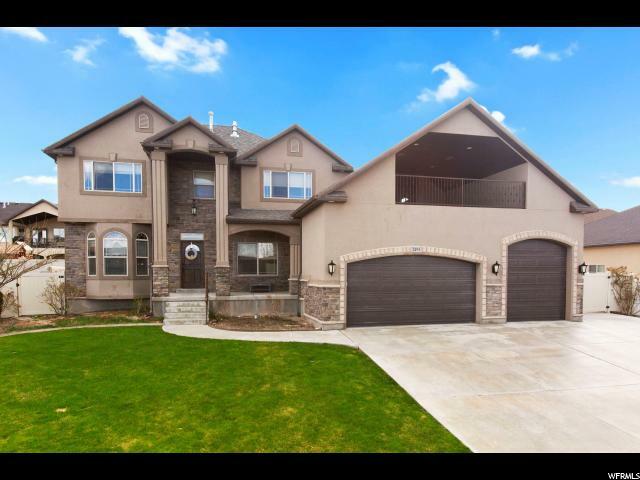 FULLY FINISHED BASEMENT WITH WALK OUT ENTRANCE WITH LARGE FAMILY RM, GAME AREA AND XXL FULLY FURNISHED THEATER RM. BEAUTIFUL WATER FALL FEATURE. 42' X 48' METAL SHOP WITH POWER AND CEMENT FLOOR. LARGE CEMENT PAD WITH DOUBLE BASKETBALL STANDARDS. BACK UP GENERATOR. CITY WATER AND ALSO 6 WELL WITH 2 AC.FT. OF WATER RIGHTS. A MUST SEE PROPERTY. " 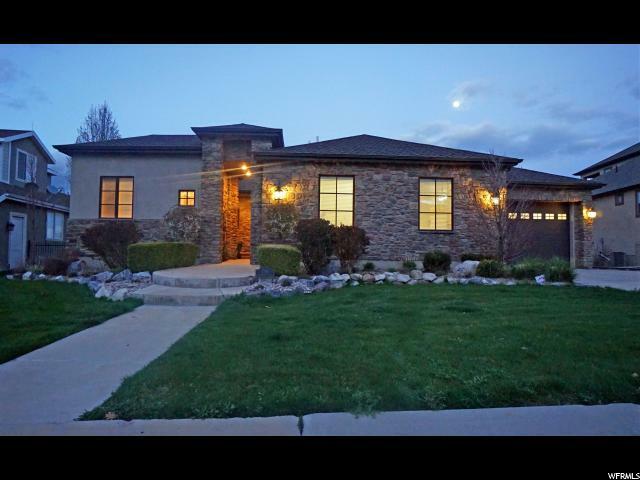 "Beautiful custom-built home overlooking the 5th hole of Talon's Cove golf course and Utah Lake. This 4,600 sq. 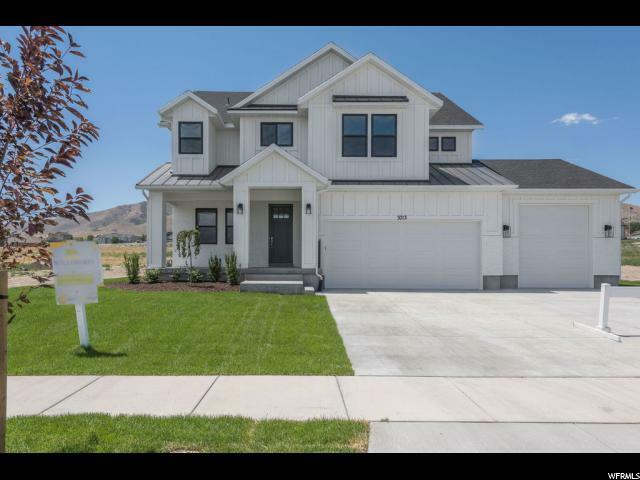 ft. home features a great floor plan with 6 bedrooms, 3.5 bathrooms plus a bonus room over the 3-car garage. 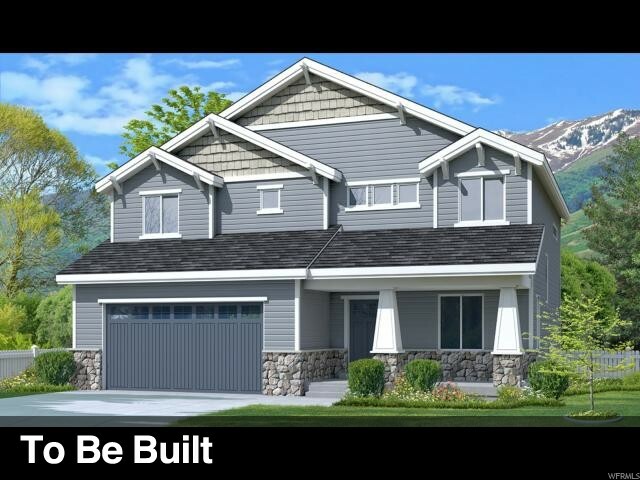 The family room, wet bar/snack area, exercise room in the walkout basement keeps the fun quiet. Other exciting features include solar panels, garden boxes, fruit trees, an in-ground trampoline, dual water heaters, central vacuum and wired Ethernet and TV in every room. Square footage figures are provided as a courtesy estimate only. Buyer is advised to obtain an independent measurement." 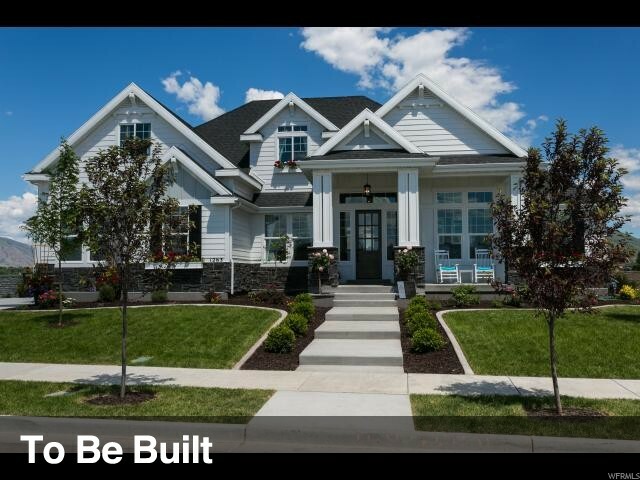 "Gorgeous semi-custom home in exclusive community in Saratoga Springs. 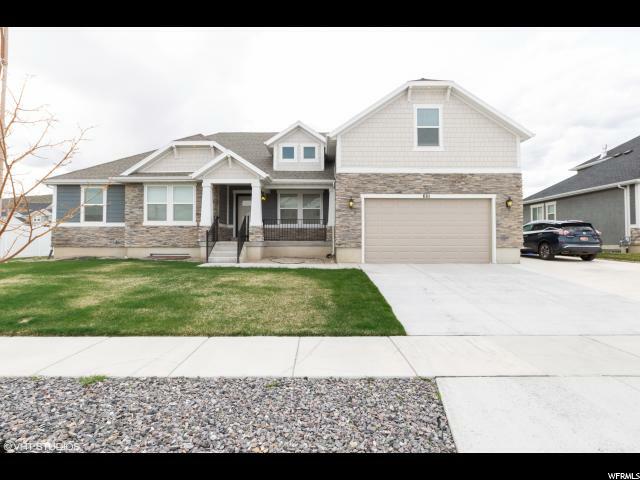 This home is a dream home with upgrades that include granite countertops, hardwood floors, mother-in-law apartment, custom trim and cabinetry throughout. 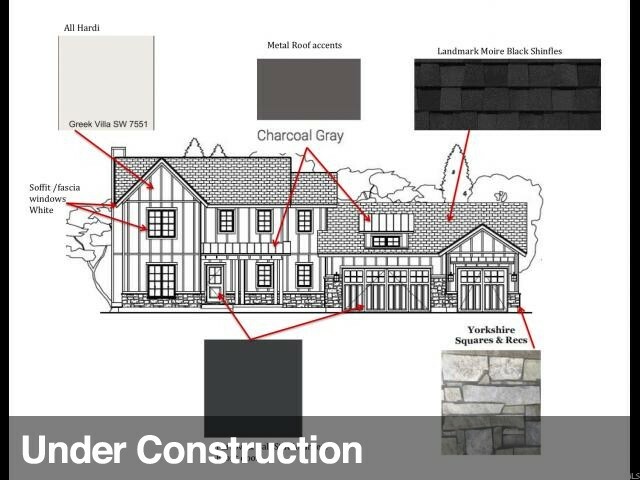 Featured in Parade of Homes. 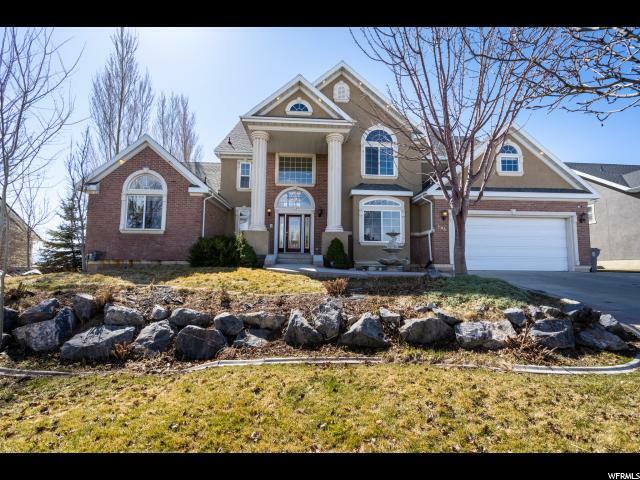 Mature fruit trees on a 1/4 acre lot with beautiful views of Utah Lake and Wasatch Mountains. A must see! Square footage figures are provided as a courtesy estimate only. Buyer is advised to obtain an independent measurement." 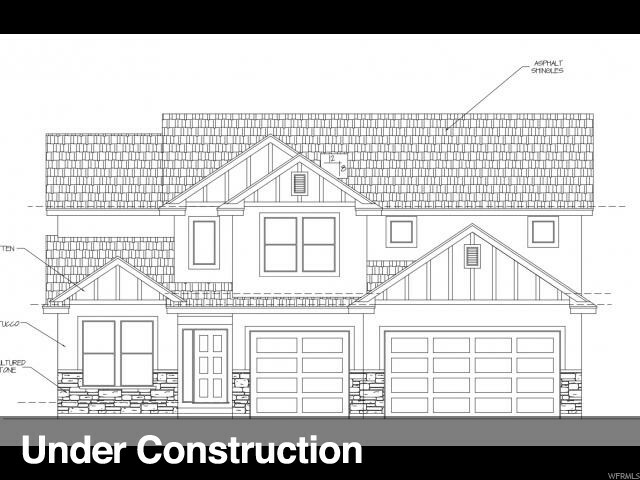 "REDUCED 35K...Builder says get it SOLD! White modern craftsman farm house. 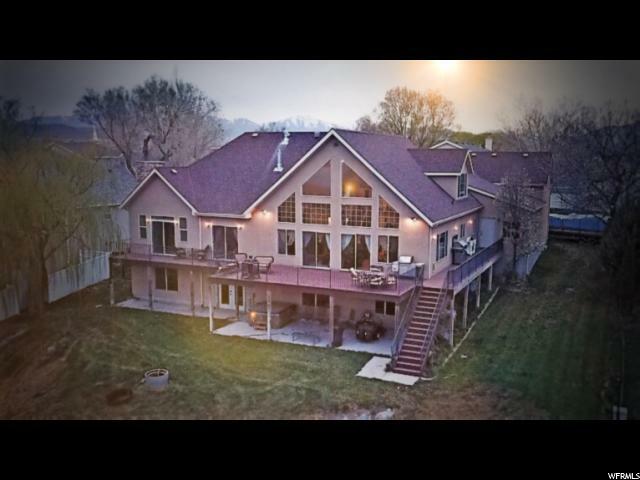 This home is located close to the waters edge and has stunning views of the lake and mountains. 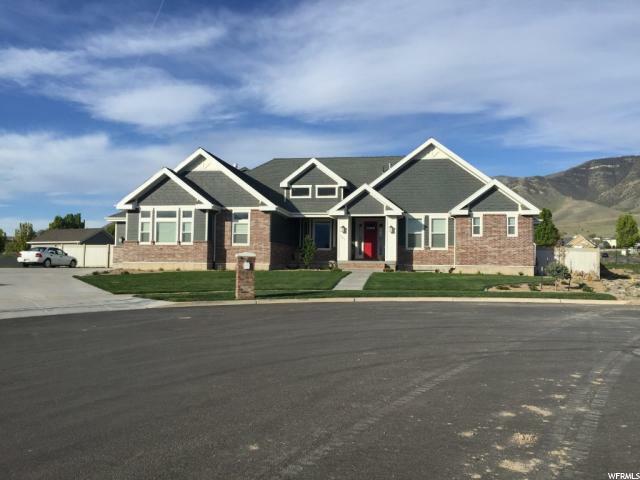 This is a brand new subdivision with new beautiful homes. The home as all the features you find out you wished you had after you moved in, like 9' basement ceilings, luxury vinyl tile that is 100% water proof, quartz counter tops, luxury master bath with Euro door and separate tub, open and spacious rooms, 95% separate upstairs furnace/AC-really make a difference in having the upstairs comfortable, Furnaces have really good Aprilaire furnace filters, fireplace mantel with stone, custom cabinets with custom range hood, Whirlpool upgraded appliances with double ovens, framed mirrors in bathrooms, garage is finish taped ready to be painted, outdoor lights on photo cell, flood lights on rear of home, LED can lights throughout home and under eave lights, upgraded locks & hardware, upgraded carpet and pad, covered rear patio and front porch, oversize garages-can fit full size truck in 3 car, front/side yard landscaping is in. Footage from plans, buyer to verify all." "PRICE REDUCED! 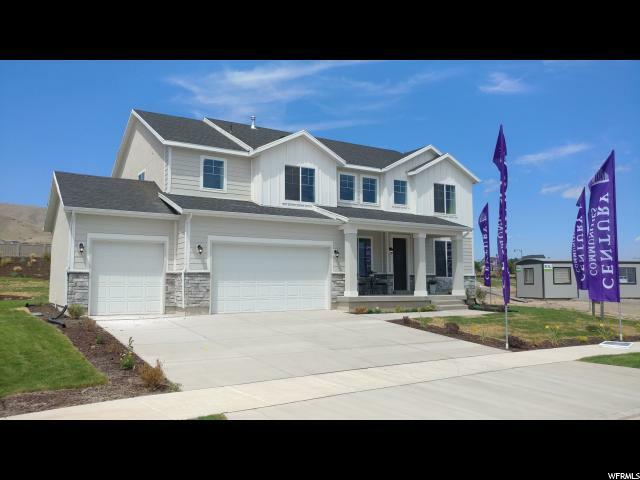 Beautiful, fully finished home in excellent cul-de-sac area! Open floor plan with two-story living room and adjoining dining room and kitchen. Master bedroom suite with private master bathroom featuring dual vanities, oversized tub, separate shower and walk-in closet. Fully finished basement with wet bar, large garage, and mudroom area. 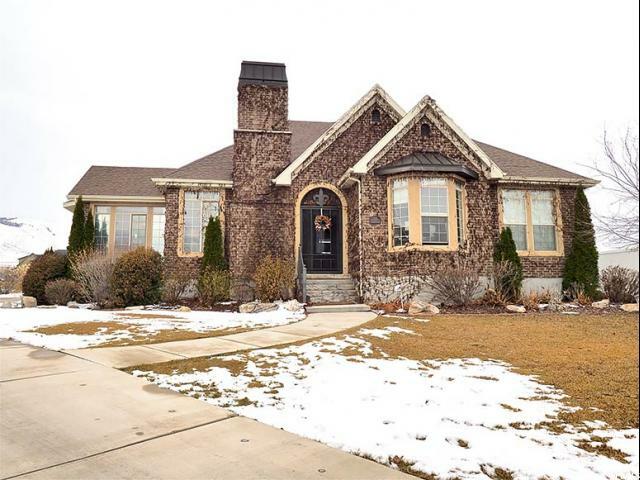 Immaculate full landscaping, fully fenced, lake views and much more!" "Special Savings with price reduced $25k. 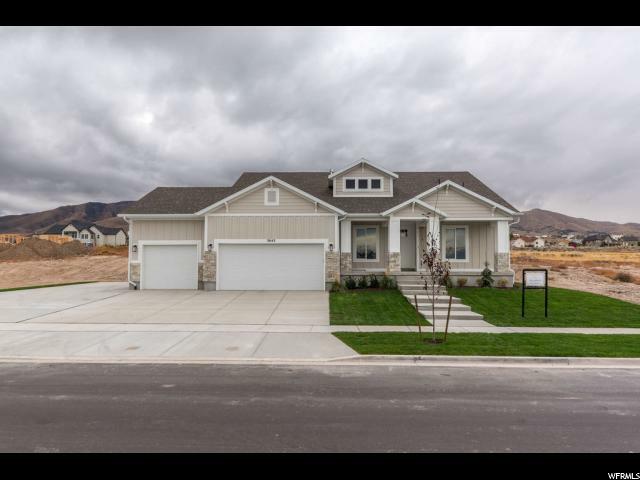 Saratoga Springs living at its finest, grand master bedroom and bath with separate oversized shower and tub, huge master closet with custom shelving, 2 additional bedrooms plus an office. Large laundry with cabinets, counter, and clothes hamper shelving, coat cubbies, custom kitchen, large pantry, upgraded Whirlpool double ovens and gas cooktop, custom hood cabinet, Gas fireplace with stone and custom shelf, oversized 3 car, grg walls ready for paint, insulated grg walls and grg doors, extra outlets in grg, great street appeal with large front porch and oversized patio in rear of home. 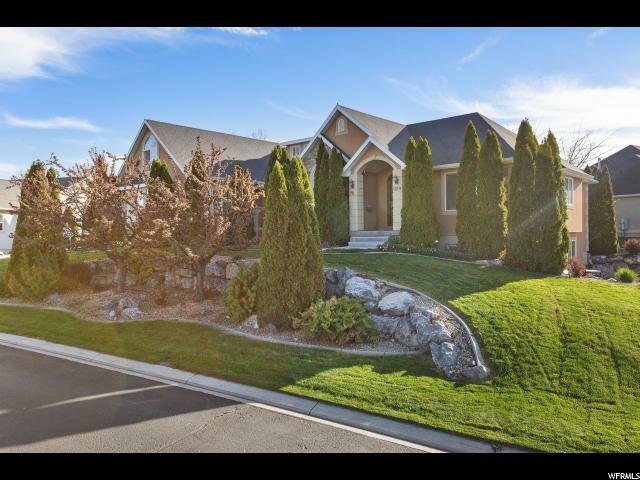 Front and side yard landscaped with huge rv pad to side of rv grg."